Completely designed in-house by MANTL’s team using decades of experience in the field. Data can be downloaded via USB or using our cellular communications package. 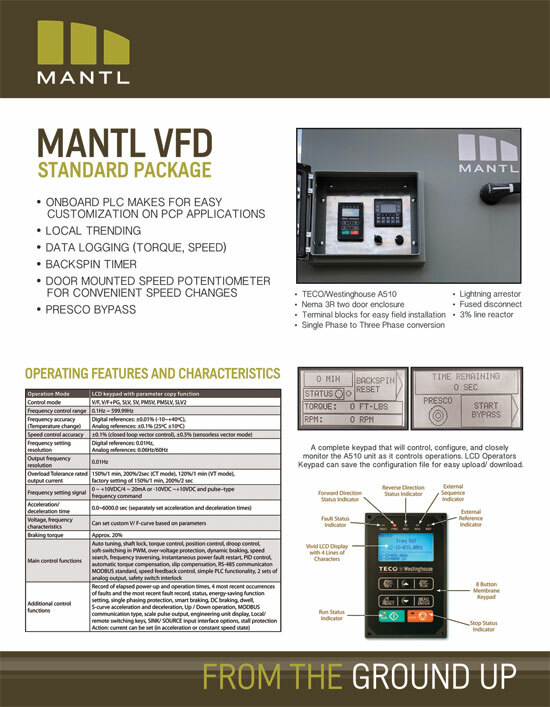 MANTL can also customize the programming to meet your unique field needs and tie into your existing SCADA infrastructure. 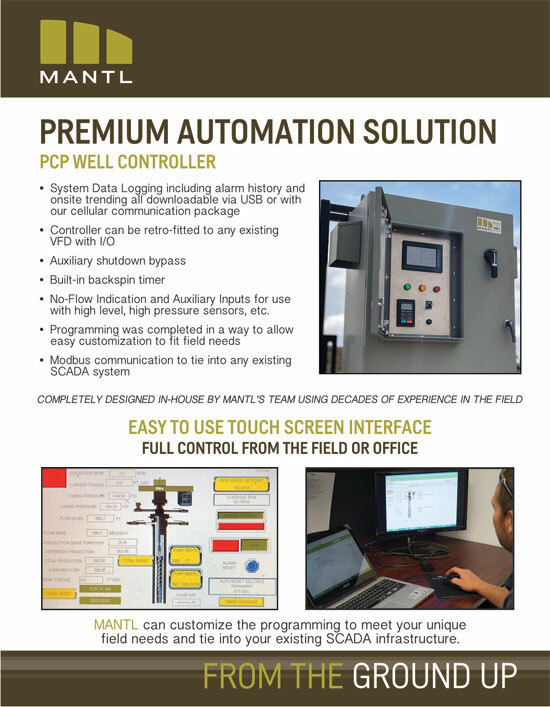 Contact us for help designing your PCP automation system.